Have you made your Spirit of Sunrise donation yet? If not, make your tax deductible contribution today! 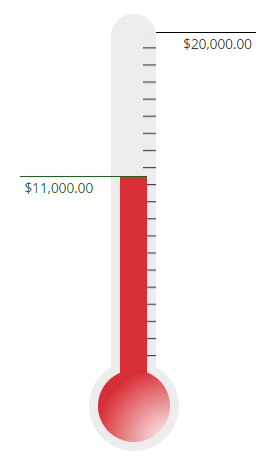 The Spirit of Sunrise campaign has raised $11,000 toward its $20,000 goal. The FFO needs your support to fund the amazing events, activities, and grants that Sunrise provides. Please see the grant section below to see how your donations were recently utilized. To make a donation and help us meet our $20,000 goal, click on the custom link below or visit sunriseffo.org/donate. Each year, family and faculty work together to disburse grants to meet students’ educational needs through programs like field trips, artists-in-residence, guest authors, and the Sunrise Garden. Teachers, staff, family members and students may submit grant proposals to the Grants Chair for review by the FFO Executive Board. Executive-approved proposals are discussed and voted on at General FFO Meetings. Visit sunriseffo.org/grants or email grants@sunriseffo.org for info. I’m from Wuhan, the provincial capital city of Hubei province. It has the most universities in China. I came to the U.S. to study Early Childhood Education at the University of Arizona. My favorite part of China is the food, of course. I like that America has the most diverse culture in the world. It is a country that accepts all different cultures and beliefs. After I came to Arizona, my favorite food has changed from Chinese food to tacos, asadas and brunch. I have a cat. Her name is Butterfly. She is 3 1/2. People love this name and laugh when they hear it. The U.S. and China’s educational systems are quite different. My memories from school in China would be tests, exams and homework. I can’t believe that American students do not have any writing or math homework. How lucky they are! Why did I have so much homework to do in my childhood when I was supposed to play? I love being at Sunrise. I love this community and the environment at this school. I love to teach my culture and the language to these little students. They make me proud when they were able to communicate in Chinese. I will continually work hard on helping my students be successful in a happy environment. Time: Drop off your dish by 10:00 a.m.
Why: Let’s show our Teachers and Staff how much we appreciate them by contributing a dish for them to enjoy for a Thanksgiving-style lunch. 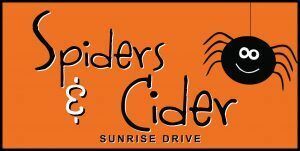 When: Friday, November 16, noon-9:00 p.m.
Why: Sunrise Drive FFO gets 20% of the proceeds from your meal! How: Make sure to show this Dine Out flyer on your phone or on paper to the cashier when ordering so Sunrise gets a portion of the proceeds! When: Friday, November 16, 6:00 p.m.
Why: Come watch our Sunrise Drive students shine at the annual Talent show. Over 20 students will demonstrate their dance and vocal talents and we invite you to cheer them on! Mark your calendars for February 15, 2019! Celebrating the Year of the Pig, the 6th Annual Sunrise Chinese Spring Festival will bring back many fun activities like calligraphy, chopstick races, paper cutting, “pin the tail on the zodiac,” and more. The Festival planning committee NEEDS YOUR HELP! Volunteer sign-ups will be posted on MySchoolAnywhere soon. To make volunteering more fun, “Tag-A-Friend” to volunteer with you. The top friend-tagger will be in for a surprise! We need volunteers for graphic design, soliciting raffle prizes, working with outside vendors, mounting student art for display around the campus, ordering and organizing supplies, decorating the campus, working at booths/activity stations, prepping food orders and working with food vendors, coordinating and supporting student and guest performances, making the PowerPoint presentation at CFHS to enlist high school student volunteers, parking lot duties, community engagement volunteers & event Ambassadors, and post Festival clean-up. Confucius would agree that “many hands make work light!” We welcome all feedback to make this year’s festival sustainable and enjoyable. 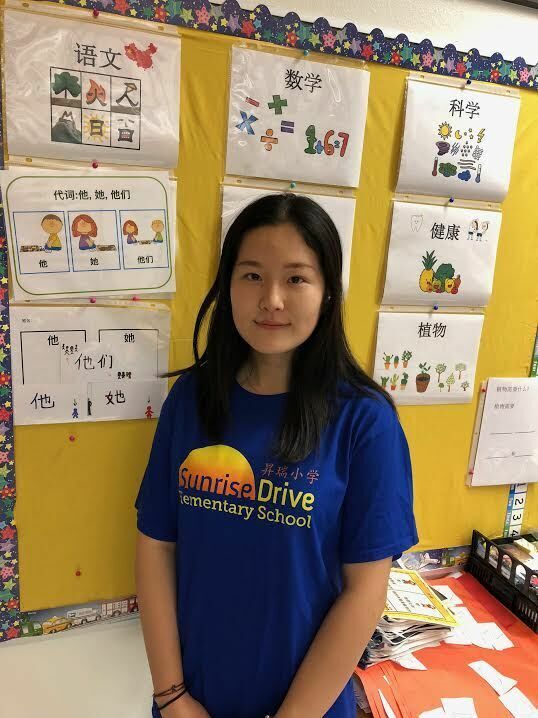 THANK YOU SUNRISE DRIVE COMMUNITY, EVENT SPONSORS AND TEAM! Almost 1,200 people attended Spiders and Cider – our biggest year yet and we couldn’t have done it without you. We extend our deepest gratitude to everyone who volunteered to make the event a success. Click here to see photobooth pics and raffle winners. Maze Chair: Jennifer Morgan for leading the construction/deconstruction of the spooky maze. Raffle Team: Shenandoah Johnston, Yvonne So, Deb Ardolino for organizing an exciting raffle. Parent Volunteers for doing anything and everything during Spiders’ Week. Hundreds of Families for donating candy and goodies and buying raffle tickets. 80 Kappa Kappa Gamma sorority members for running all of the stations with smiles. Principal Davidson, Teachers, Sunrise Staff, and CARE Staff for your time, energy, Costume Contest participation, and new game design.